Announcing the public preview of Azure Digital Twins - Azure Digital Twins is an Azure IoT service that creates comprehensive models of the physical environment. Among its many features is the ability to create spatial intelligence graphs to model the relationships and interactions between people, spaces, and devices. Announced at Ignite last month in Orlando, Azure Digital Twins is now available in Public Preview. To provide concrete examples of how partners are packaging the capabilities present in Azure Digital Twins to create digital twins of physical environments, below are images of what finished solutions can look like and how they can be visualized. IoT SWC 2018: IoT solutions for the built world - We attended the IoT Solutions World Congress (SWC) 2018 in Barcelona last week. Check out what was covered, including the public preview of the Vision AI developer kit and the announcement of Azure Digital Twins (see above). Apache Spark jobs gain up to 9x speed up with HDInsight IO Cache - HDInsight IO Cache, a new transparent data caching feature of Azure HDInsight that provides customers with up to a 9x performance improvement for Apache Spark jobs, is now available in preview. Azure HDInsight IO Cache is available on Azure HDInsight 3.6 and 4.0 Spark clusters on the latest version of Apache Spark 2.3. During Preview, this feature is deactivated by default, so you must activate it to try it out. Once activated, HDInsight IO Cache launches and manages RubiX Cache Metadata Servers on each worker node of the cluster. ONNX Runtime for inferencing machine learning models now in preview - ONNX Runtime is a high-performance inference engine for machine learning models in the Open Neural Network Exchange (ONNX) format. The ONNX Runtime inference engine provides comprehensive coverage and support of all operators defined in ONNX. ONNX is an open source model format for deep learning and traditional machine learning that gives data scientists and developers the freedom to choose the right framework for their task, as well as the confidence to run their models efficiently on a variety of platforms with the hardware of their choice. Approve, audit support access requests to VMs using Customer Lockbox for Azure - Customer Lockbox for Microsoft Azure is a service integrated into Azure portal that gives you explicit control in the very rare instance when a Microsoft Support Engineer may need access to your data to resolve an issue. While Microsoft has always obtained customer consent for access, Customer Lockbox now gives customers the ability to review and approve or deny such requests from Azure Portal. Until the request is approved, Microsoft Support Engineer will not be granted access. The Azure Podcast | Episode 251 - Getting skilled in Azure - Azure Skills Evangelist and Cloud Solutions Architect, Daniel Baker, comes back on the show and this time he is very passionate about the resources, tips and tricks for getting skilled in Azure. Detecting fileless attacks with Azure Security Center - In Azure, we regularly see fileless attacks targeting our customers’ endpoints. To avoid detection by traditional antivirus software and other filesystem-based detection mechanisms, attackers inject malicious payloads into memory. Fileless Attack Detection in Azure Security Center is an automated memory forensic techniques identify fileless attack toolkits, techniques, and behaviors. Dive into the details in this post to see how Security Center’s Fileless Attack Detection discovers different stages of a multi-stage attack, starting with targeted exploit payload, or shellcode; and get a walkthrough of an example alert based on a real-world detection. Reservations now available for US Government cloud regions - Reservations are now generally available for US government Azure customers. Reservations are available for virtual machines, SQL Server and Cosmos DB for US Government and US DoD Azure regions. Reservations can help you save money on workloads that have consistent usage, providing price predictability to support your budgeting and forecasting needs. Reservations are available in the following Azure Government regions: US Gov Arizona, US Gov Texas, US Gov Virginia, US DoD Central, and US DoD East. 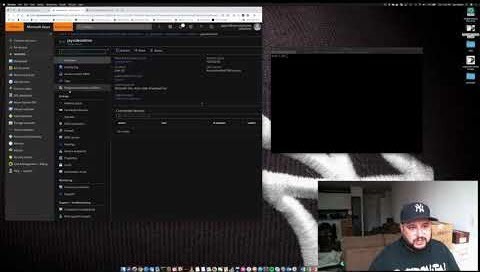 Azure Friday | Scaling effortlessly with Service Fabric Mesh - Shortly before Ignite 2018, Chacko Daniel joined Scott Hanselman to show off the effortless way to scale a service from 3 replicas/containers to 1500 in seconds using Azure Service Fabric Mesh and to talk about the mesh features in the pipeline (see: Azure Service Fabric updates at Ignite 2018). Azure PowerShell – Cross-platform “Az” module replacing “AzureRM” - Az harnesses the power of PowerShell Core and Cloud Shell, and maintains compatibility with PowerShell 5.1 to ensure that PowerShell and PowerShell Core users can get the latest Azure tooling in every PowerShell, on every platform. Az also simplifies and normalizes Azure PowerShell cmdlet and module names. Az ships in Azure Cloud Shell and is available from the PowerShell Gallery. Az is currently in preview, and will replace AzureRM as the recommended module for all Azure PowerShell tooling later this year. New metric in Azure Stream Analytics tracks latency of your streaming pipeline - Azure Stream Analytics is a fully managed service for real-time data processing. 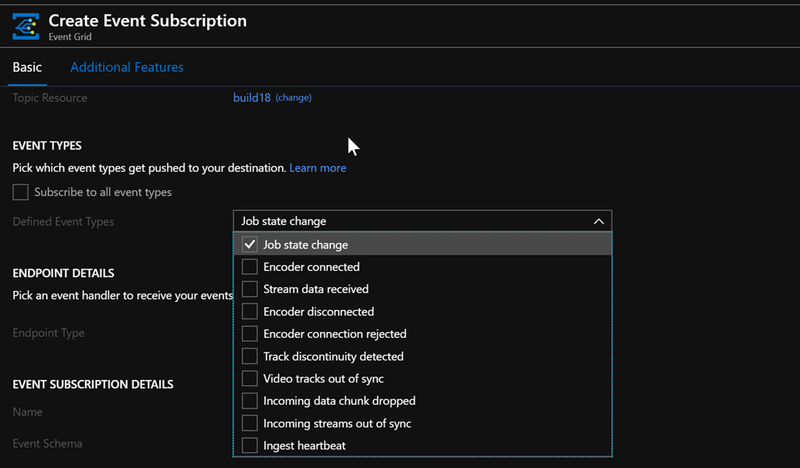 Stream Analytics jobs read data from input sources like Azure Event Hubs or IoT Hub to perform a variety of tasks from simple ETL and archiving to complex event pattern detection and machine learning scoring. As it is important to proactively monitor jobs, quickly identify root causes, and mitigate possible issues, you can use the newly introduced output watermark delay to monitor mission-critical streaming jobs with a reliable signal of job health which is agnostic to input and output patterns of the job. Accessibility and array support with Azure Blockchain Workbench 1.4.0 - Azure Blockchain Workbench 1.4 includes the following improvements: Better accessibility for screen readers and keyboard navigation; Customization of smart contract table columns; New supported datatype – Arrays; Support for strings up to 4k characters; Faster and more reliable transaction processing. What's new in Azure Media Services video processing - Azure Media Services makes it easy to use high-definition video encoding and streaming services to reach your audiences on today’s most popular devices. Azure Media Services also enables you to extract richer metadata though video AI, improve accessibility, distribution, and scalability —all while protecting your content. Last week we announced several enhancements to Media Services including the general availability of the new Azure Media Services v3 API, as well as updates to Azure Media Player. Be sure to also check out Video Indexer which also moved to general availability last month. Parameterize connections to your data stores in Azure Data Factory - Azure Data Factory (ADF) enables you to do hybrid data movement from 70 plus data stores in a serverless fashion. Often users want to connect to multiple data stores of the same type. You can now parameterize the linked service in your Azure Data Factory. Azure Friday | Parameterize connections to your data stores in Azure Data Factory - Azure Data Factory enables you to do hybrid data movement from 70 plus data stores in a serverless fashion. Gaurav Malhotra and Scott Hanselman discuss how you can now parameterize your connections to data stores and pass dynamic values at run time in Azure Data Factory. For example, you may need to connect to ten different databases in your Azure SQL Server and the only difference between those ten databases is the database name. How to work with Log Stream and Azure App Services - Learn how to work with Log Stream and Azure App Services. To view logs right inside of the Azure portal, use the Log Stream. From there, you will also be able to see that trace message that you entered inside of the ASP.NET application. How to set up e-mail alerts with Azure App Services - Learn how to set up e-mail alerts with Azure App Services. In Azure App Services, you can easily configure alerts to send you an e-mail when something bad happens with your application in real-time. Azure IoT Reference Architecture 2.1 release - Version 2.1 of the Azure IoT Reference Architecture is now available for download. The document offers an overview of the IoT space, recommended subsystem factoring for scalable IoT solutions, prescriptive technology recommendations per subsystem, and detailed sections that explore use cases and technology alternatives. You can use the Azure IoT Reference Architecture as well as reference architecture implementations, such as Remote Monitoring and Connected Factory solution accelerators to guide your implementation choices. Adding Storage To Your Azure VM - Jay Gordon reviews how to add additional storage to your Microsoft Azure Linux VM. This tutorial will review running a MySQL database server on an Azure VM and increasing the amount of storage available to you. Azure Machine Learning Deployment Workflow - At the Artificial Intelligence Conference in London this month, Francesca Lazzeri and Jaya Mathew presented a scientific framework to help organizations to systematically discover opportunities to create value from data, qualify new opportunities and assess their fit and potential, then how to build a team to smoothly implement end-to-end advanced analytics pilots and projects, and produce sustainable ongoing business value from data. Using Azure DevOps Pipelines and NuKeeper to Automate NuGet Package updates - Based on a post from Scott Hanselman about NuKeeper, Shane Boyer explores how to use NuKeeper and Azure DevOps to set up an additional pipeline to automate this process. Getting started with Azure Cosmos DB - Lost in the Cloud - Jay Gordon covers Azure Cosmos DB features and then dives into showing you how to get started right away, including tutorials and options for connecting to your database deployment after you provision it. The Azure DevOps Podcast | Edward Thomson on All Things Git, libgit2, and Azure DevOps - Episode 006 - This week, your host, Jeffrey Palermo, brings you a recording, live from the Microsoft Ignite conference. He interviews Edward Thomson, the Principal Program Manager for Azure DevOps, the maintainer of libgit2 (the git library), a host of All Things Git (a podcast about Git), and the curator of Developer Tools Weekly (a weekly newsletter with developer tool news). Ed answers questions that tons of teams continue to ask in the space. He also speaks about his many side projects: libgit2, All Things Git, and Developer Tools Weekly. Sweet updates about Truffle on Azure - Truffle is a development environment, testing framework and asset pipeline for blockchains using the Ethereum Virtual Machine (EVM), aiming to make life as a developer easier. Truffle streamlines the process of recognizing changes, migrating them to the underlying blockchain, and providing a framework to allow a rich debugging experience with common step through of code and inspection of low-level components. You can use Truffle with zero installs using images for the current stable version as well as the beta versions that are available now in the Azure Marketplace. Azure Marketplace new offers – Volume 21 - The Azure Marketplace is the premier destination for all your software needs – certified and optimized to run on Azure. Find, try, purchase, and provision applications & services from hundreds of leading software providers. You can also connect with Gold and Silver Microsoft Cloud Competency partners to help your adoption of Azure. 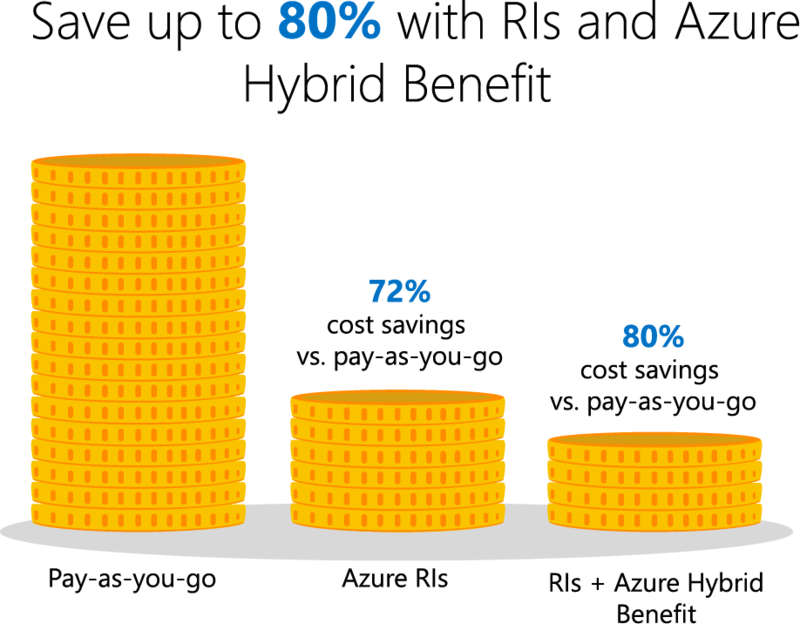 In the first half of September we published 29 new offers. Modernize your commerce platform with Rapid Commerce solution - The Rapid Commerce solution from Publicis.Sapient is an out-of-the-box toolkit to get large retailers up quickly on to a modern commerce platform. The toolkit is based on the very latest microservices, headless architecture and enables DevOps techniques to get the platform deployed faster and with higher quality. Retailers get a better customer experience: the microservices, headless architecture enables quick upgrades to the latest consumer channels such as chat, voice or conversational commerce. Microsoft and SWIFT make Azure cloud native payments a reality - At Sibos 2018 in Sydney, the world’s premier financial services event, Microsoft and SWIFT announced a cloud native proof of concept (POC) to host SWIFT infrastructure and enable cloud native payment transfers on Microsoft Azure. Together, the two companies are working to facilitate the future deployment of SWIFT messaging solutions in the cloud, enabling faster, more efficient and secure operations for banks, corporates, service bureaus, and other payments ecosystem players. The IoT Show | Azure Stack in IoT - How does Azure Stack fit in the Internet of Things story? What are the plans to support Azure IoT services on Azure Stack? Rita Cao, PM in the Azure IoT platform team joins Olivier on the IoT show to shed some light on this topic. The IoT Show | Blinky Demo with Azure Sphere - An IoT device wouldn't be an IoT device without a blinky demo. Check out Ed Nightingale, Partner Architect for Azure Sphere, showing how to use Visual Studio to develop on an Azure Sphere development kit. Ingesting a data stream from NIST manufacturing lab data - Part 2 - Learn how to extract actionable insights from your IoT data using this solution guide. In this second post of a multi-part series, learn about the transform and post component, which transforms the raw data and then posts data records to Azure Event Hubs. Accelerating AI in healthcare: Security, privacy, and compliance (webinar) - The use of AI is rapidly growing in healthcare. Many use cases from diagnostic imaging, to predicting patient length of stay, and even chatbots require sensitive patient information. To be successful these initiatives must avoid breaches, ransomware, non-compliance, and other security, privacy, and compliance issues. Join this webinar with thought leaders from across the healthcare industry for practical advice on how to address security, privacy, and compliance with AI solutions in healthcare. AI Show | Get Started with Azure Machine Learning with VS Code Tools - In this episode, we will provide a brief overview of Azure Machine Learning service and the Visual Studio Code Tools for AI extension. Azure This Week | 19 October 2018 - This time on Azure This Week, Lars talks about Azure confidential computing which is now in public preview. He also discusses the monthly updates for what is new in the Azure Portal as well as more Azure content for you to check out.